The restaurant offers various delicious hotspot in a comfortable atmosphere. 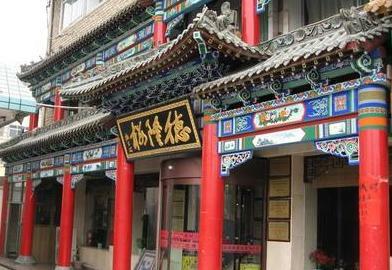 The restaurant (德隆楼清真餐厅) offers various delicious hotpots in a comfortable atmosphere. It is famous for instant-boiled mutton, very soft and tasty. Its traditional Chinese style decoration is impressive. Service is also good.